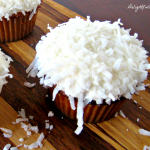 For many desserts, an amazing cream cheese frosting recipe is literally the icing on the cake! Learn how to make cream cheese frosting with these simple steps and tips for getting that perfect creamy, delicious consistency every time. Are you a fan of cakes and cupcakes? 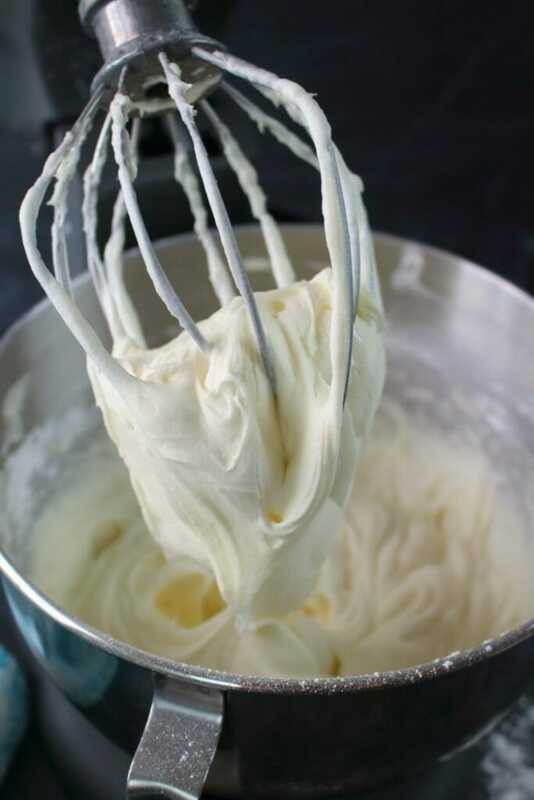 If so, you’ll likely agree that a good cream cheese frosting recipe is a must for any baker. Cream Cheese frosting is simple to make, and comes together easily if you keep these tips in mind. 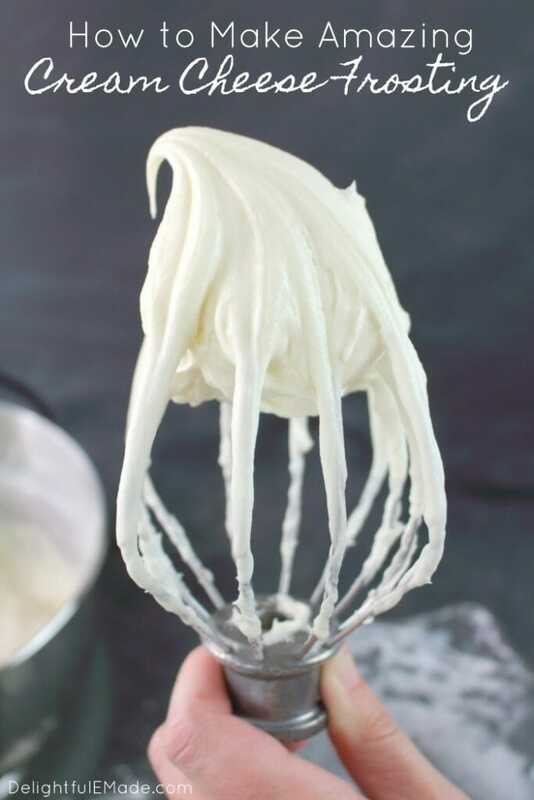 I’ve compiled the essential steps that you need to know in how to make cream cheese frosting that’s fluffy and delicious each time. 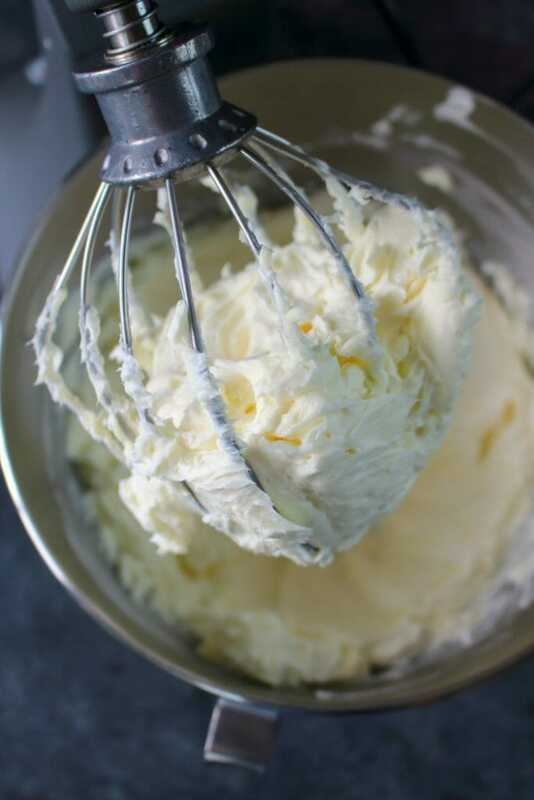 Here’s the simple steps to making cream cheese frosting and the simple tips to getting the perfect frosting consistency every time. 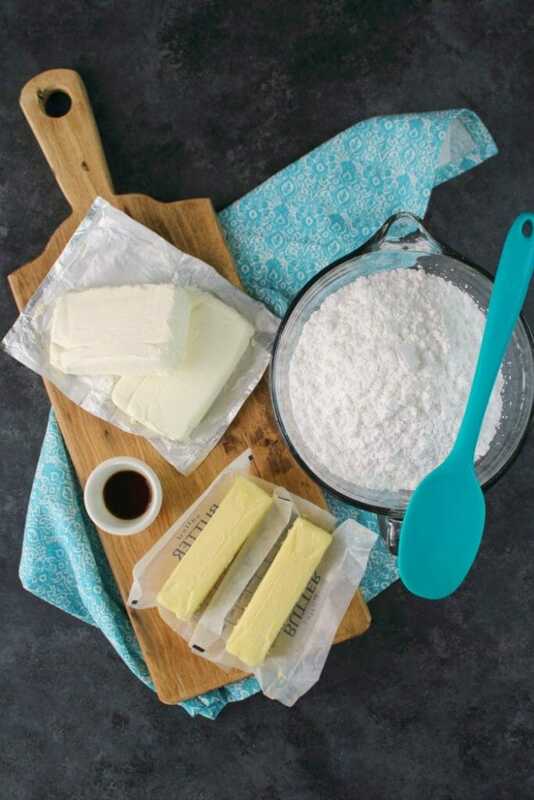 The essential ingredients you’ll need to make cream cheese frosting is butter, cream cheese, vanilla extract and powdered sugar. My recipe below is for a double-batch of frosting. 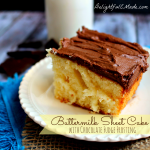 This is ideal for a layer cake or a large batch of cupcakes (24 or more). If you’re making a single layer cake, or sheet cake, I would recommend cutting this double-batch in half. Can I make this cream cheese frosting recipe a different color? Yes, you can definitely make it any color you wish. 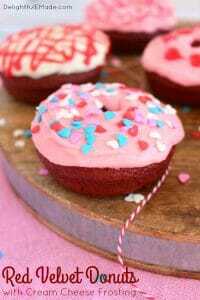 Should you want to tint the frosting a special color, I recommend gel food coloring. Start with small amounts first, and then add more coloring to deepen the shade of the frosting. 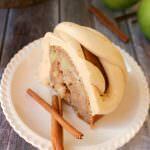 What can I add into the frosting to enhance the flavor and texture? 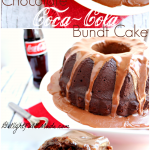 You can add in just about any ingredient to compliment the dessert you are working with. Cinnamon, coconut, caramel, nuts, cocoa – just about anything is game. Just be mindful of the temperature and consistency of the ingredient. Ingredients that are too hot (like melted caramel) can melt the butter. Just make sure the caramel has cooled. Thicker, more substantial ingredients like nuts and coconut need to be stirred in at the very end, after all the sugar has been added. 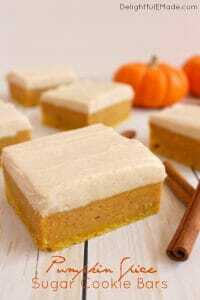 Ingredients like spices (cinnamon or nutmeg) and cocoa, can be added in with the powdered sugar. With cocoa, be sure to sift to eliminate any lumps. What ingredients will I need to make this Cream Cheese Frosting recipe? You begin by beating together the room temperature butter and cream cheese. I can’t stress how important it is to make sure that these two ingredients are room temperature. If you takes these two ingredients right out of the refrigerator and try to beat them together, you won’t have good results. You’ll likely have a very lumpy frosting. Conversely, if the butter and cream cheese are at a consistency where you can touch it, and your finger leaves a slight dimple, it is ready to be made into frosting. 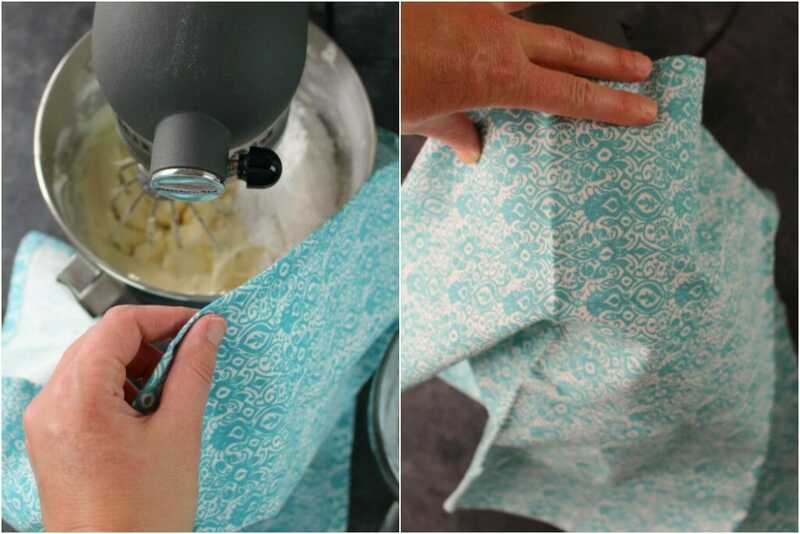 Using a hand or stand mixer is ideal for making frosting. I have a Kitchen Aid Stand mixer, that I’ve been using for over 15 years. 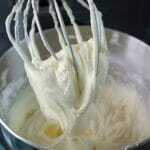 I use the whisk attachment which does a great job of whipping the butter and cream cheese together. 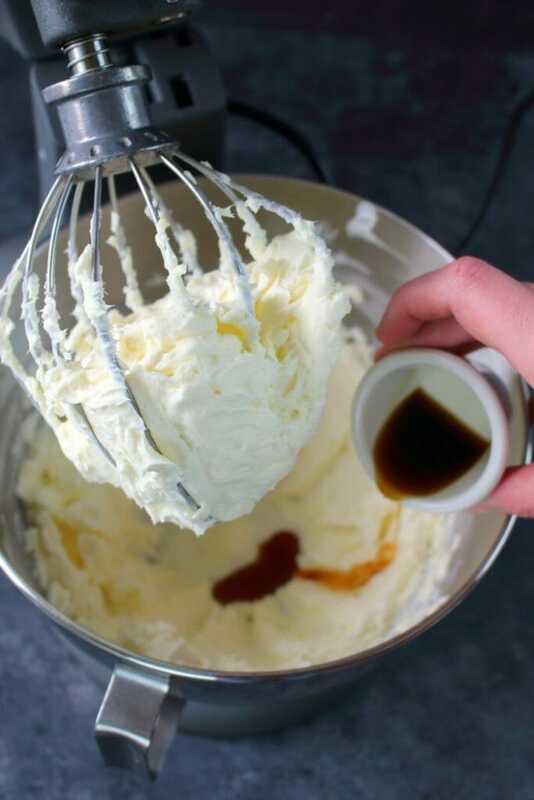 Once you’ve beat together the butter and cream cheese to a fluffy consistency, add in the vanilla. Beat in the vanilla until combined. 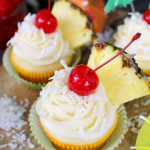 If you’re adding in any other flavor to your frosting (for example, coconut extract for my Pina Colada Cupcakes), almond extract, or mint extract, now is the time to add it. You can also adjust the flavor of the frosting by adding ingredients like cocoa powder to make a chocolate flavored frosting. Should you do this, be sure to sift together the cocoa powder and powdered sugar to eliminate any small lumps in the cocoa. 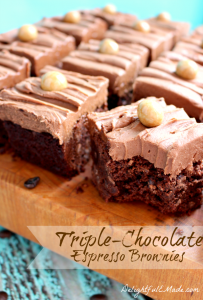 I top my Triple Chocolate Espresso Brownies with a yummy chocolate cream cheese frosting! One cup at a time, gradually add in the powdered sugar to the cream cheese mixture. Be sure to stop the mixer each time you add in the sugar. Scrape down the sides of the bowl with a rubber scraper. Once all of the sugar has been added, the frosting will be very thick and creamy. How do I keep the powdered sugar from going everywhere? When adding in the powdered sugar, it’s helpful to cover the sides of the mixing bowl with a kitchen towel as the sugar begins to mix in. This will prevent the powdered sugar from flying all over. You can then take down the towel once the sugar begins working in to the frosting. 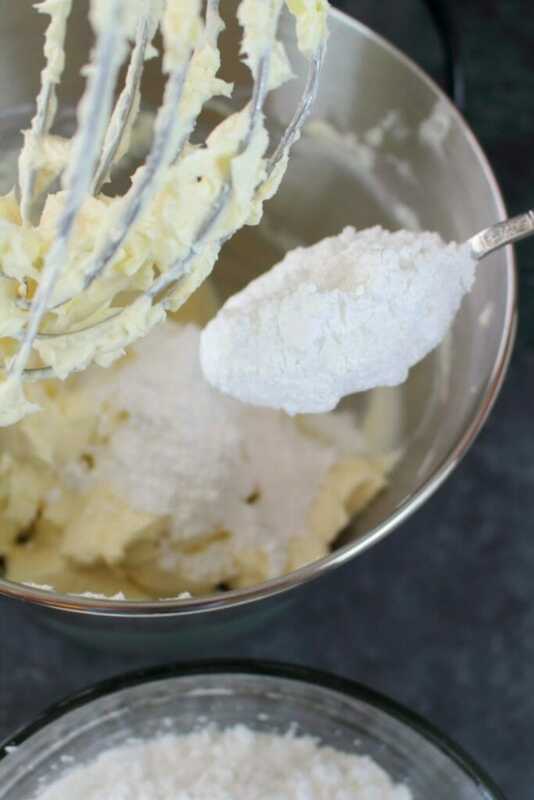 In a large mixing bowl, add the room temperature cream cheese and butter. Beat with a hand or stand mixer at medium speed until completely combined and fluffy. Begin gradually adding in the powdered sugar 1 cup at a time, stopping the mixer to scrape down the sides of the bowl after each addition. Once all of the sugar has been mixed in, the frosting will become thick and creamy. It is then ready to be spread on cakes, cupcakes and desserts right away. This is considered a double batch of frosting. 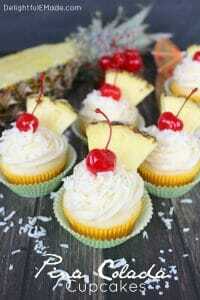 This amount is idea for layer cakes with 2-3 layers of cake, or a batch of cupcakes (24 cupcakes). If making a single layer cake or 9x13" sheetpan cake, I would recommend cutting the recipe in half to make a single batch. I love cream cheese frosting. 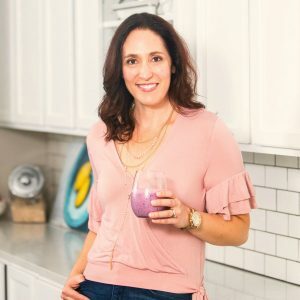 This recipe looks so good and easy too.